Happy Sunday, friends! I hope that you are having a great day so far! We got a nice blanket of snow yesterday, and it is SO beautiful. I love snow...until about April. And then I'm SO over it....lol! 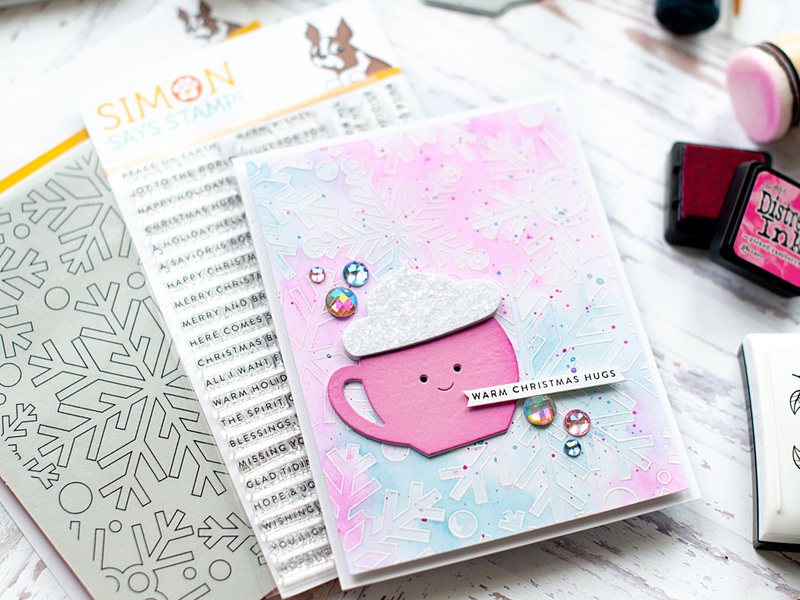 I will scatter posts throughout this month using some of the amazing Diecember 2018 new dies, but for today I am focused on the CUTIE Big Picture Book Latte die. I squealed when I got to this die, because I think it is just the cutest thing ever!! So of course, it was the first thing that I ran through my diecutting machine! It was also perfect timing, because the Fall/Winter Coffee Lovers Blog Hop is going on right now, so I will be linking it up there! 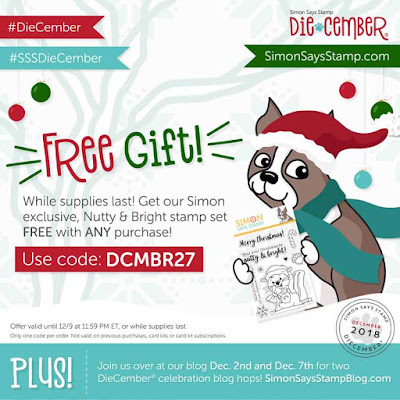 Be sure to check it out if you haven't before...tons of prizes, and SO much inspiration! The first thing that I did was create the background on 130 lb cougar white cardstock panel from Cut Cardstock. 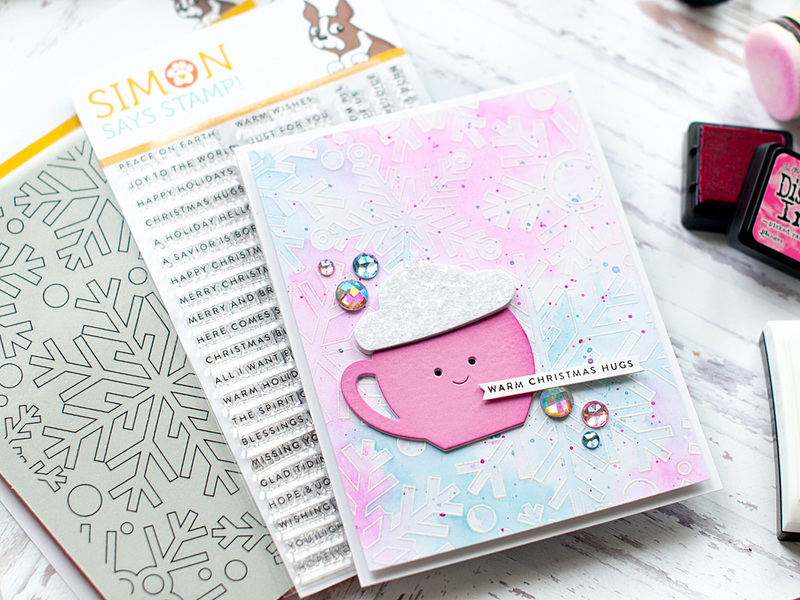 I heat embossed the Outline Snowflakes cling rubber stamp to the panel in detail white, gave it a water wash, and then proceeded to drop Pinkfresh Studio liquid watercolor to it. This is the same technique shown in THIS video, but this time around I used much less watercolor and much more water to make the tones lighter. Once the coloring looked how I wanted, I set the entire panel aside to dry naturally. When the panel was fully dry, I did splatter some matching liquid watercolor to the front of it using a size 4 brush. After that I used two sentiments from the Tiny Words Christmas set to create my custom sentiment, and stamped it to white cardstock in onyx black Versafine. I trimmed it down to a tiny strip, then cut banner edges to each end. At this point it was time to start putting the card together. I mounted the watercolor panel to the front of a cougar white A2 card base with foam adhesive. 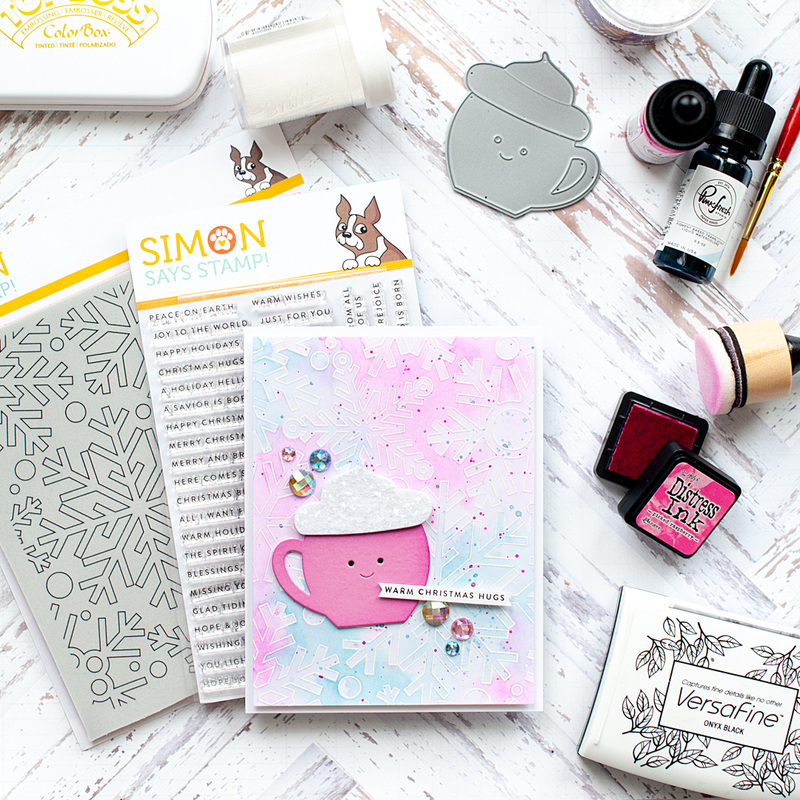 Then I adhered the cutie latte to the front with some permanent tape adhesive & mixed media liquid adhesive - I wanted to make sure that thick cut mug wasn't going anywhere! Then I popped the sentiment strip up with some Darice Thin Foam Strips, and tucked my signature iridescent jewels here & there to finish. 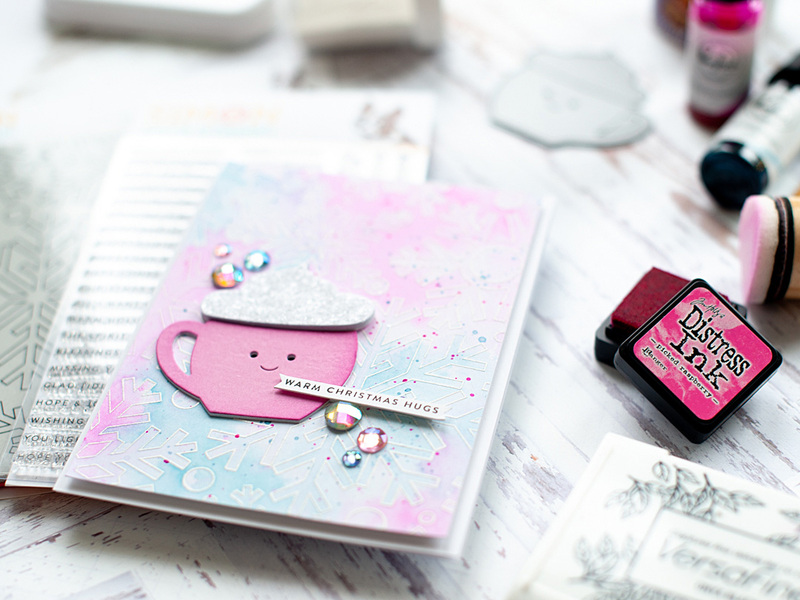 I seriously can't get over how CUTE the Big Picture Book Latte die is....I have a feeling it will be back on my blog again in the near future!! Well, that is what I have for you today, my friends! Before you move along with your day, I wanted to invite you to follow me on social media. I hang out on Instagram a lot, and share my work in progress in my stories...along with REALLY cute photos of my dogs! :) And of course, I would love for you to subscribe to my YouTube Channel. My channel has been pretty quiet recently - I am right in the middle of reorganizing my entire craft area...so it is a bit disjointed. I have given myself a deadline of the end of December to get it completely finished, with my new studio area ready for video creation!! So, there will be a TON more videos in 2019. So thank you for bearing with me until then! I hope that you have a wonderful & restful Sunday! Very pretty card. I love the colors of the background. 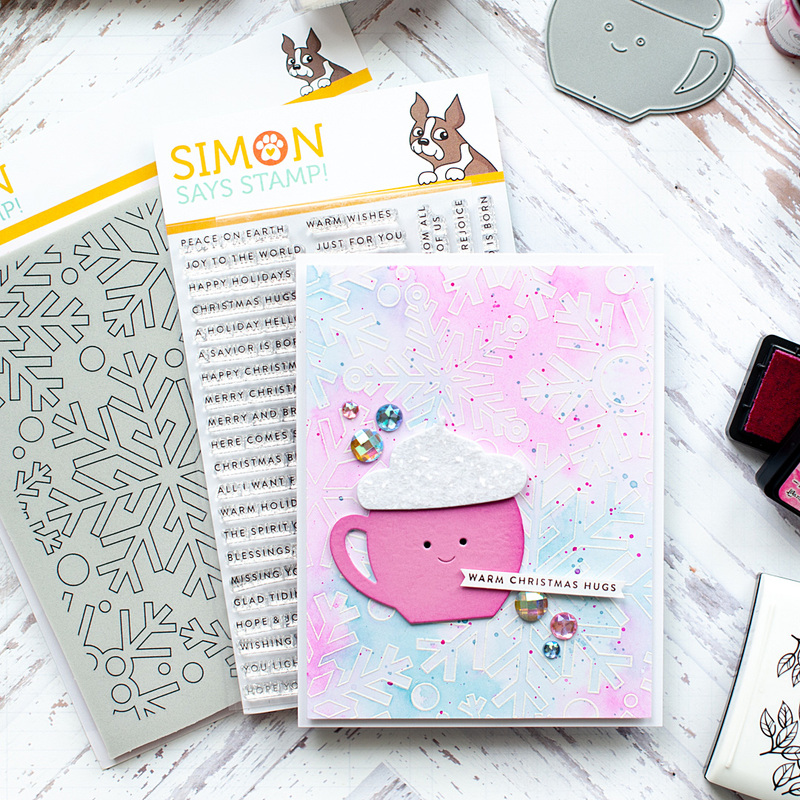 I love the embossed snowflakes and those tiny sentiments are a must have (guess I need to go shopping) and love the coffee cup. This is so sweet!! 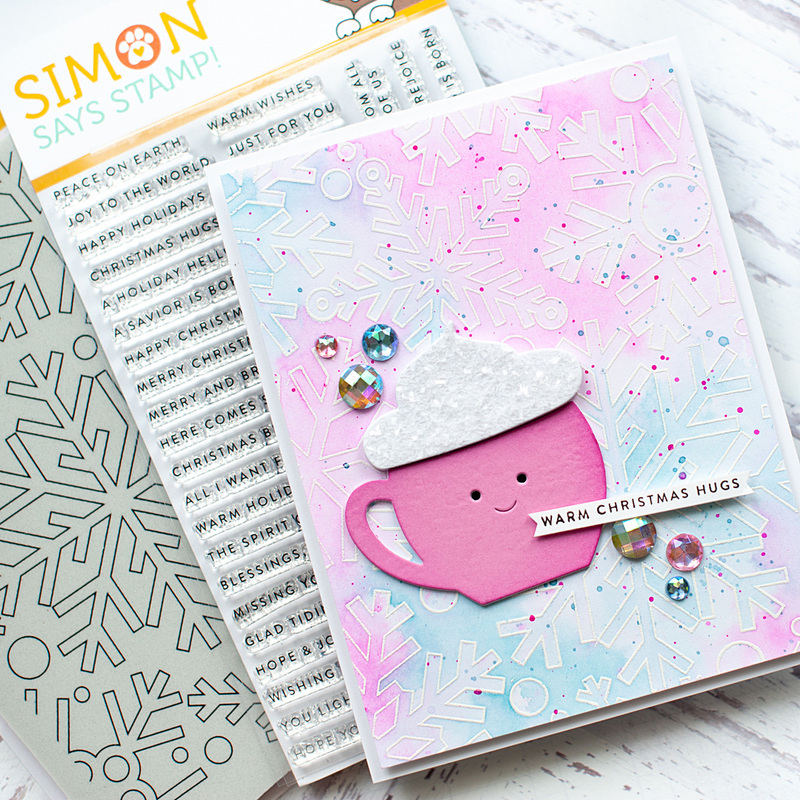 I Love the pink/blue color scheme and that little cup is just too cute!! 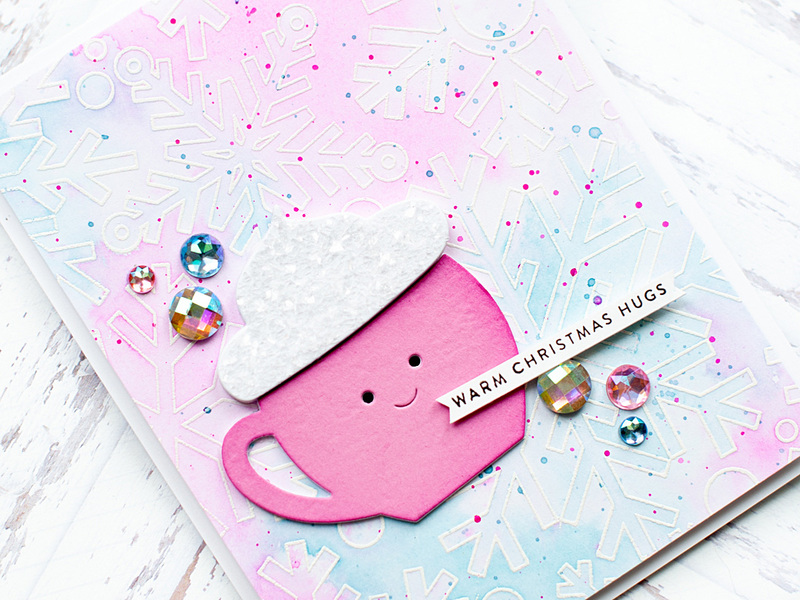 Super cute card design. I love the froth on the cup. Lea, I love your sweet mug! Such a pretty card! This card is the definition of cuteness!! I love it. So pretty. 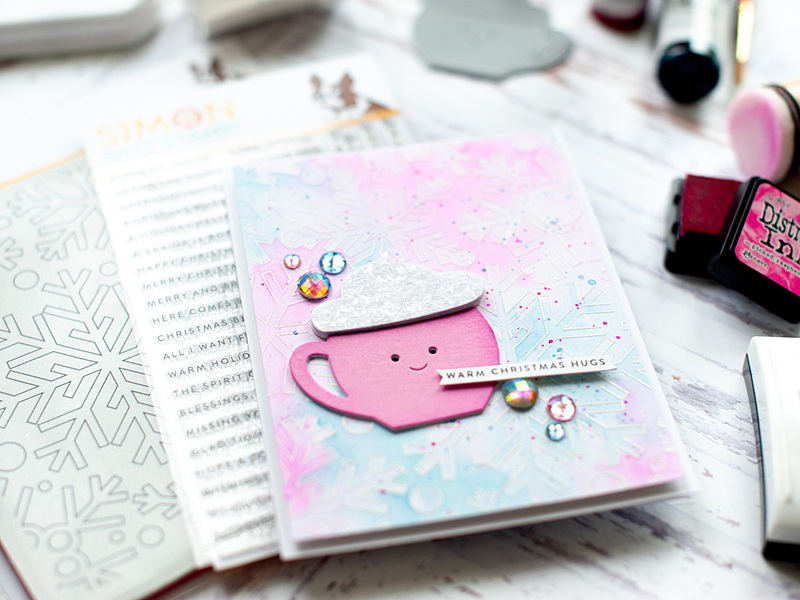 Love the sofness of your card and that cute mug fits in perfectly. Super amazing card! What a great creative die!